Thank you to Pine Mountain for sponsoring this post, as always all opinions are my own. Ever since we moved to Georgia this past summer I’ve been so lucky to have met an amazing group of ladies in our new neighborhood. Our kids go to the same school, we see each other at the community pool, and even work out together many mornings after school drop off. After all my talk about my new friends my husband was ready to put some faces to names so I invited them all, along with their families, over this past weekend for a party-Chili Bar style! I decided on the Chili Bar party theme because we would be feeding a crowd-13 adults and twenty kids. 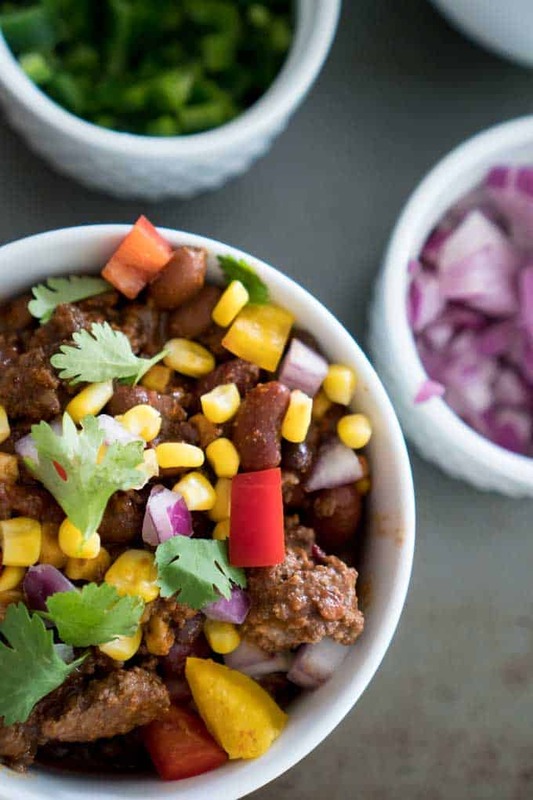 Chili is definitely an inexpensive option when it comes to entertaining a big group. I used both my crockpot and my Instant Pot to whip up batches of regular and white chicken chili (click here for the recipe) that I prepped that morning. 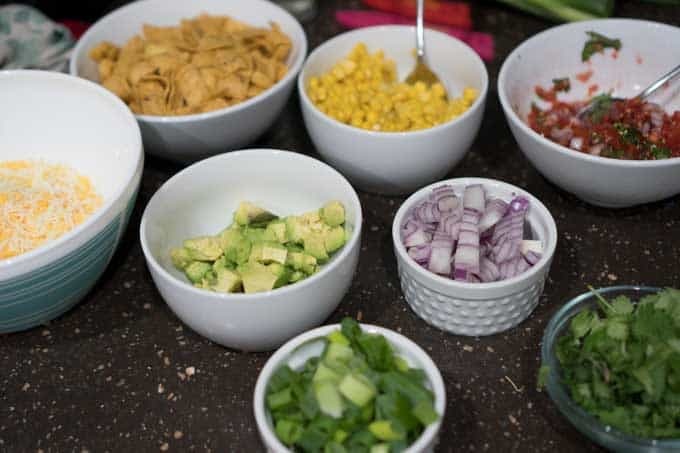 On the side we had corn muffins, salad and of course chips and salsa which makes an appearance at every gathering at my house! Dessert for the adults was my dirt cake and s’more for the kids. When it came to the day of the party we were a bit concerned because we had a ton of rain that week and our firewood was all quite damp. 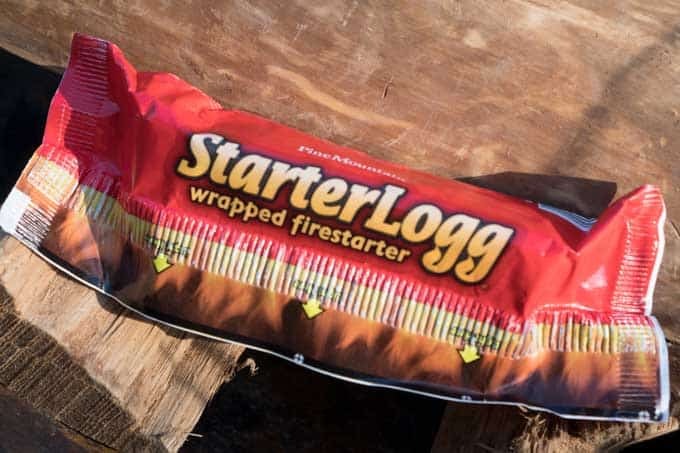 Then I remembered how we had always used Pine Mountain StarterLogg Wrapped Firestarter during our damp year in England so I whipped out my stash to keep on hand for the evening. 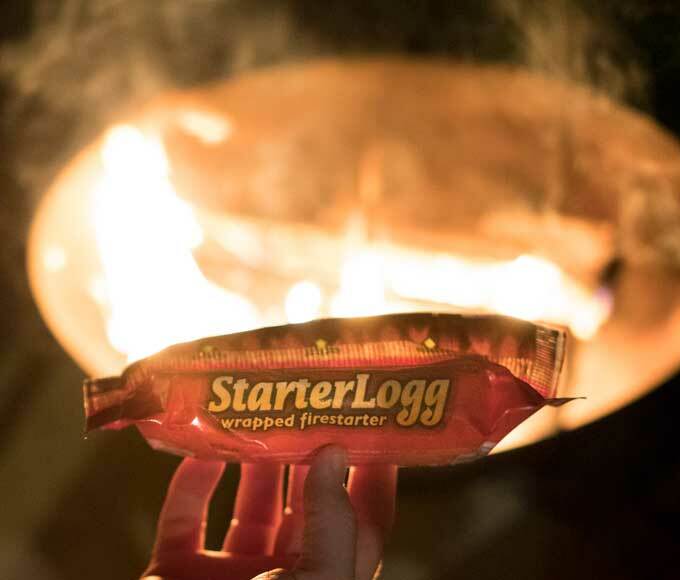 The StarterLogg Wrapped Firestarter is so easy to use, simply light it under your wood and it will burn for 30 minutes, lighting even wood that is damp like ours was! 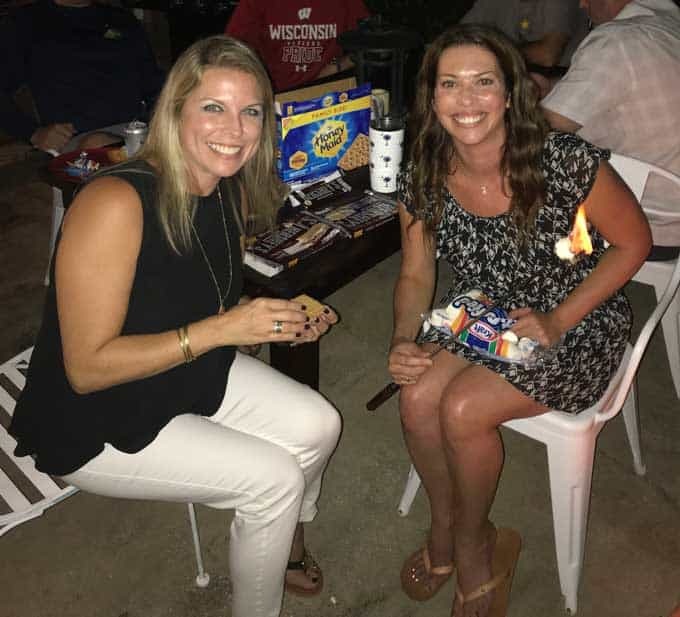 Because there were SO many kids, my neighbor and I set up an assembly line to make and hand out the s’mores-it worked out really well and helped us make sure there were no mishaps by the fire. The party was a huge success-we’ll definitely be doing it again! 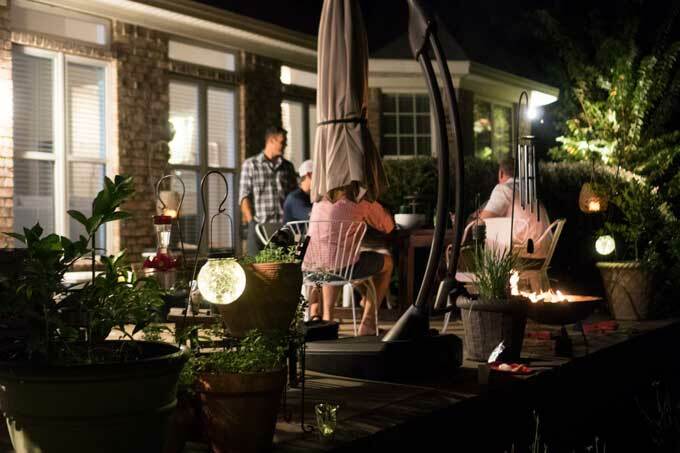 Want to learn more about Pine Mountain Firelogg Wrapped Firestarter or their many other products that make bonfires easier? Check them out on the Pine Mountain website, or you can find them on Facebook or YouTube as well! I never thought to do a chili bar! This looks so fun! Such a great way to get to know new neighbors! What a fun chili bar! Looks like a great time was had by all. Hi Melissa, looked like you had a fun time. Maybe you could share your white chicken Chili recipe sometime as it’s not something I’ve ever had and not something you can buy ready made in the UK. Thanks! Chili is such a good meal for a crowd, and I love all the toppings & options you served up for your party!